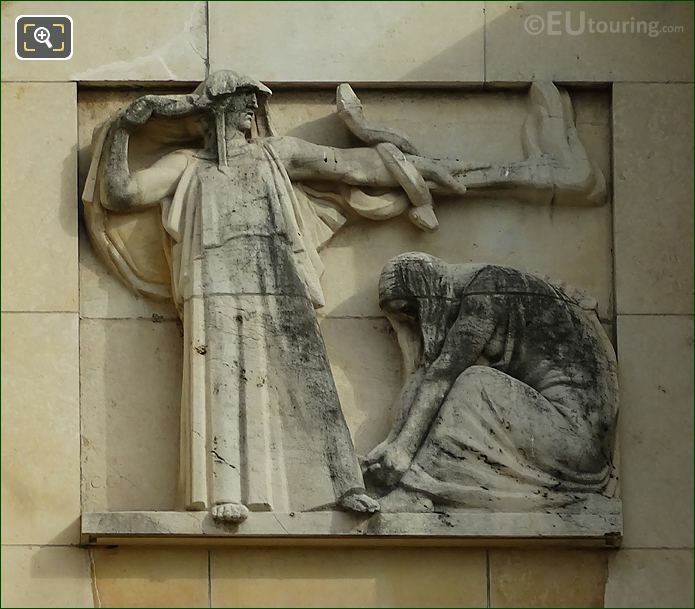 The Palais de Chaillot is a large building located within the Jardins du Trocadero in the 16th Arrondissement of Paris, and in between the two wings housing museums there is a terrace and restaurant below providing fabulous views to the Eiffel Tower. 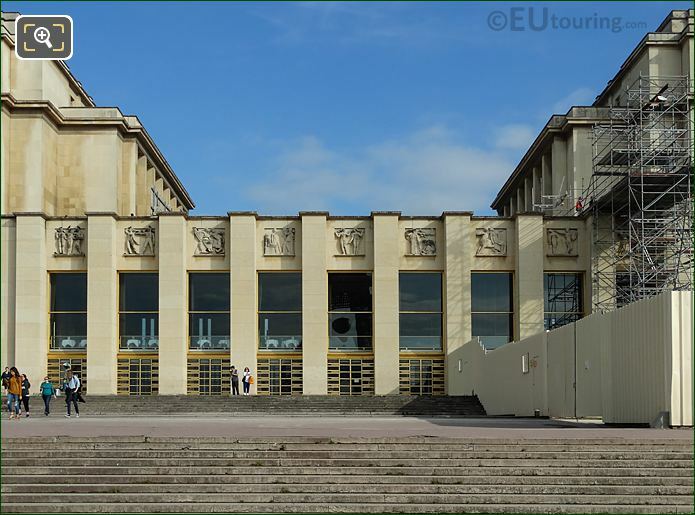 This first HD photo shows the section between the two wings of the Palais de Chaillot, which houses a theatre, but also has a restaurant with the picture windows looking out over the Trocadero Gardens towards the Eiffel Tower on the opposite bank of the River Seine. 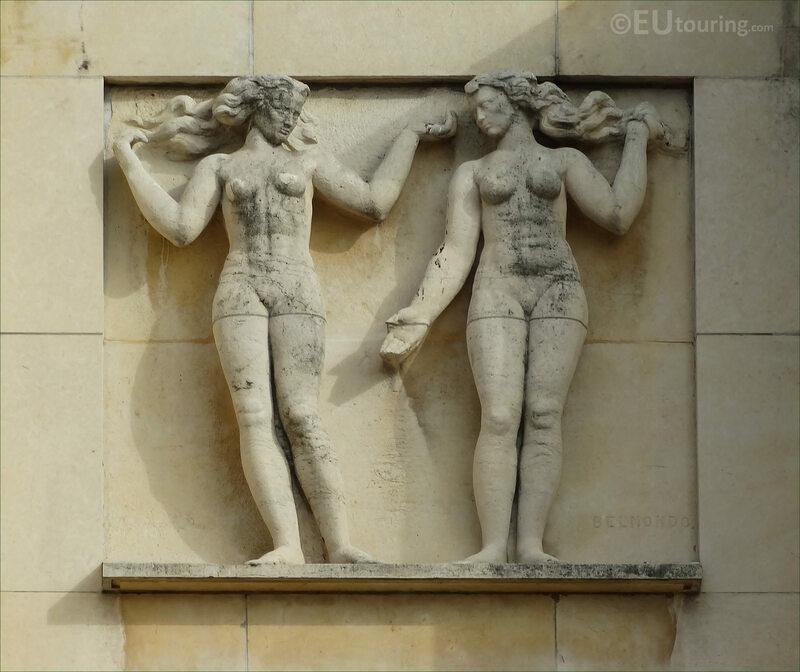 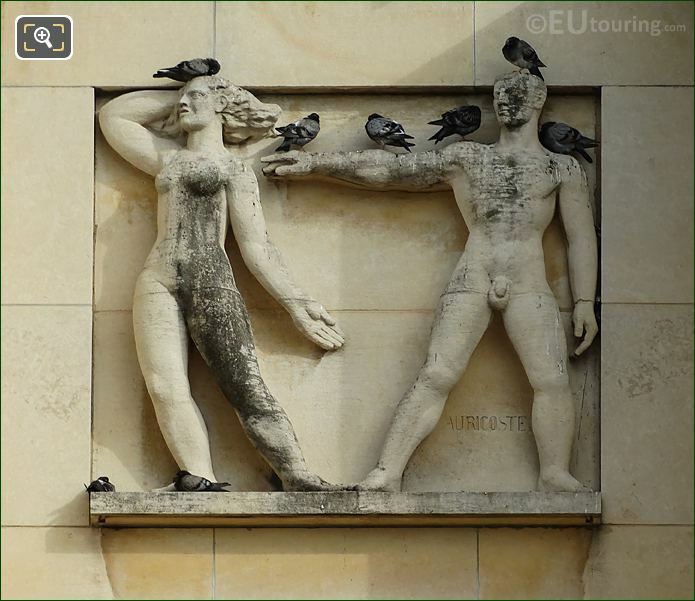 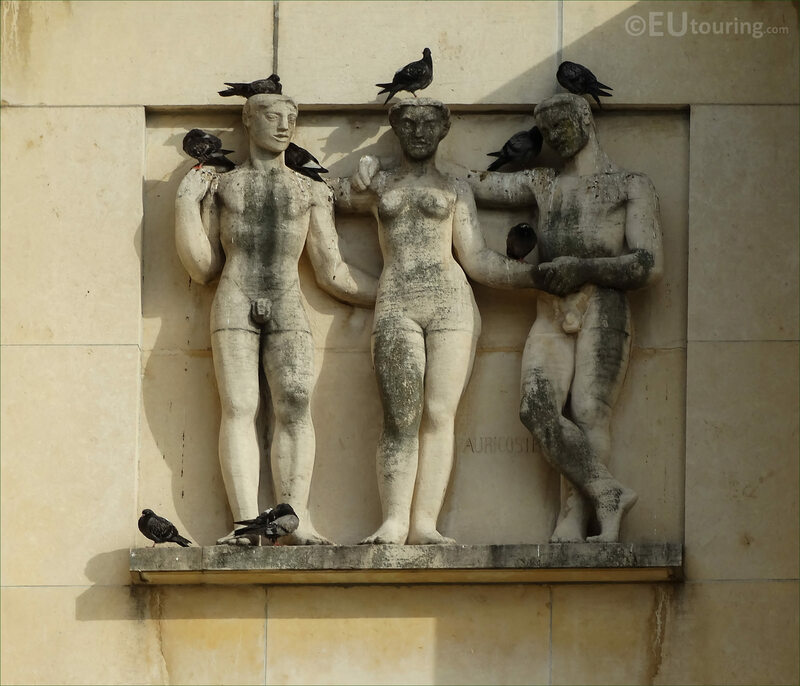 However, just above the picture windows there are a total of nine sculptures in between the columns, which were commissioned to different artists for the new building of the Palais de Chaillot, that was constructed for the 1937 World Fair in Paris. 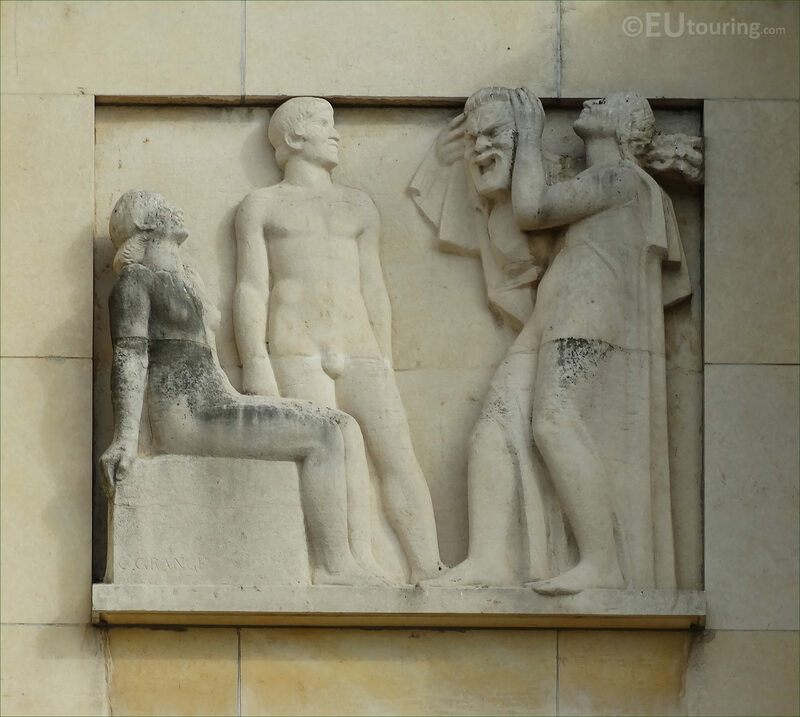 All different in their theme and even the style of execution, if you look very carefully you will find that some of these sculptures have had the name of the artist that produced it inscribed into the panel, as you can see from this photograph. 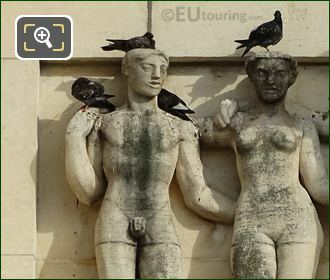 Originally there was an old palace called the Palais du Trocadero that was constructed for the 1878 World Fair and the gardens were laid out at the same time, but this was demolished to make way for the current Palais de Chaillot, which was inaugurated for the 1937 World Fair, or Universal Exhibition in Paris. Designed in a modern style, the Palais de Chaillot still utilised the foundations of the old Palais du Trocadero in the arc shape, yet having an open space between the wings with a terrace, was a completely new concept, one that became exceedingly well recognised, especially after Hitler posed for a photo here during World War II. 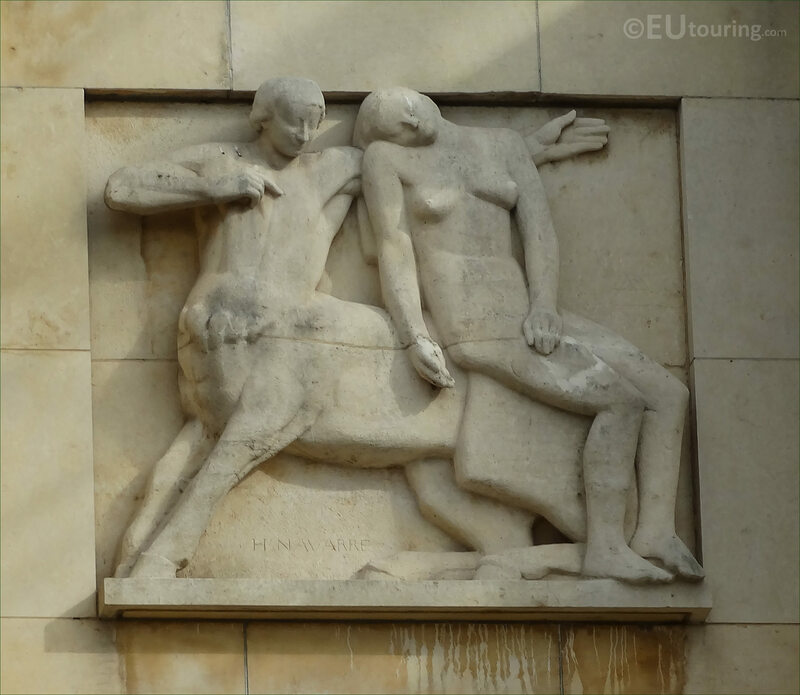 Many of the artists that were chosen to produce art works for this popular tourist attraction, became well recognised, including Paul Belmondo who produced this particular sculpture, which is known as a bas relief, or low relief. 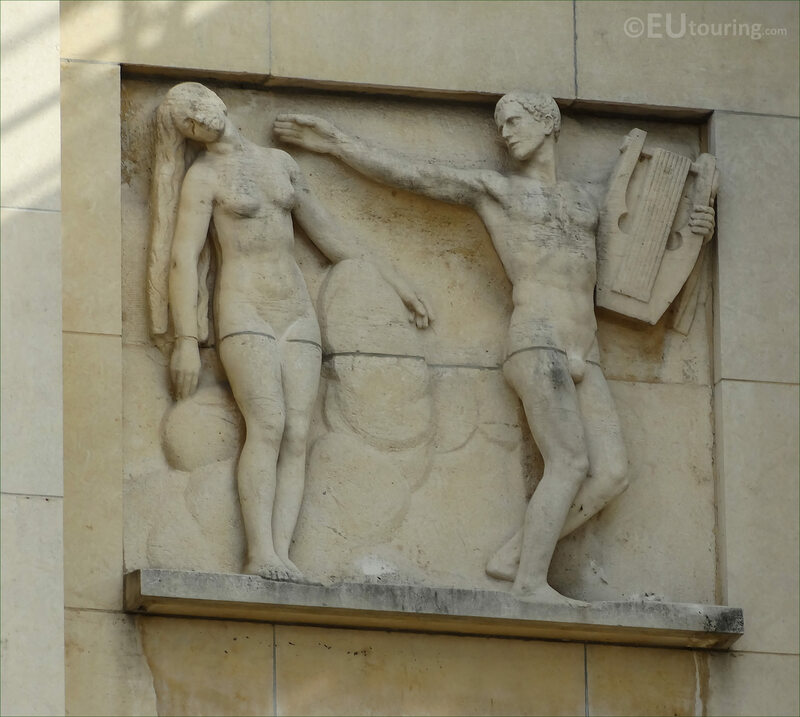 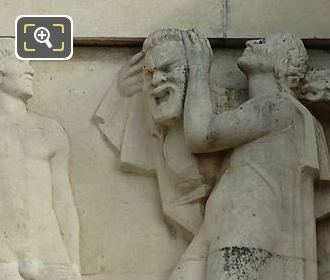 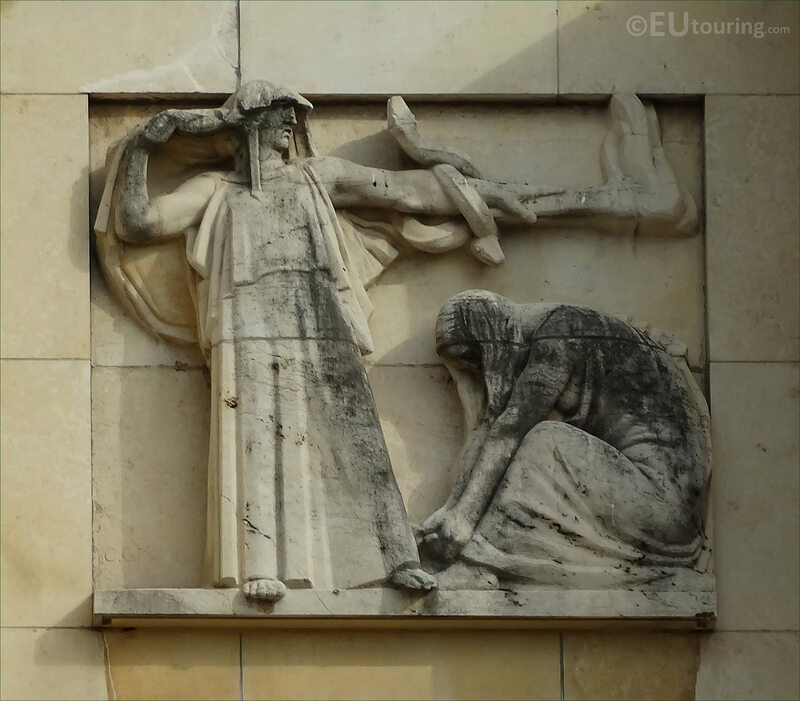 Although each bas relief was designed to have a specific meaning, unfortunately, we have not been able to find out the names for many of the sculptures on the facades of the Palais de Chaillot, yet the majority of them seem to portray scenes from different cultures or times. 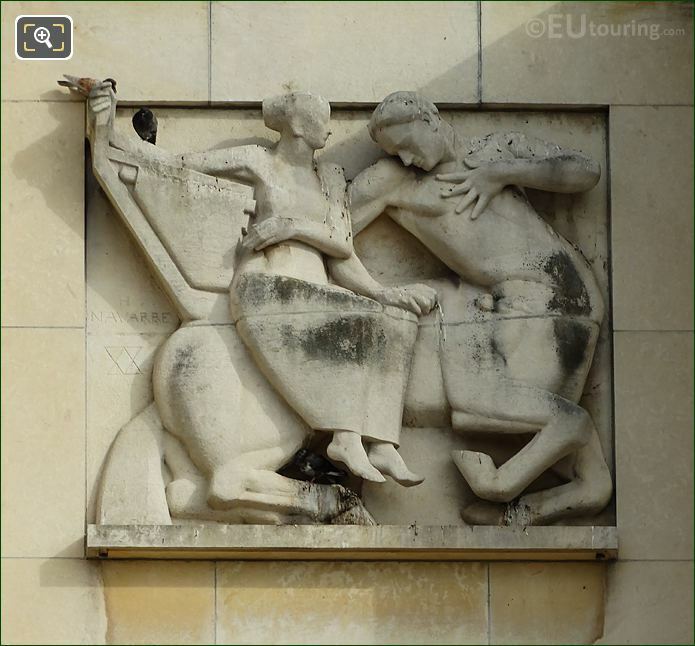 However, there are also scenes from ancient Greek and Roman mythology that can be viewed on the facades from the Trocadero Gardens, such as this bas relief showing a female figure with a centaur, which is a mythological creature of half man and half horse. 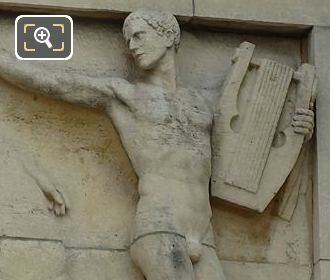 And this particular image shows another scene from mythology with the figure of Apollo holding a lyre, which is an ancient instrument similar to a small harp, that in art this God is often depicted holding, and is another of the nine below the terrace of the Palais de Chaillot, facing onto the Jardins du Trocadero.